Jim graduated from San Diego State University in 1986. During that time he achieved a bachelor’s degree in financial services with an emphasis in insurance. Concurrently, Jim was involved directly in the construction industry and also worked with Farmers Insurance Company. In 1986, Jim went to work for Insurance Company of the West (ICW) in their Bond Underwriting Department. During his five years at ICW, Jim worked his way up to Assistant Branch Manager of the Sacramento office. In 1991, Jim joined Robson, Cavignac & Associates and helped develop its Bond Department as well as the Bond Department of its parent company, Lawrence United Corporation. In 1994, Jim joined the Hartwell Corporation in Idaho Falls, Idaho, once again spearheading the development of a Bond Department.In September 1996, Jim joined Cavignac & Associates. 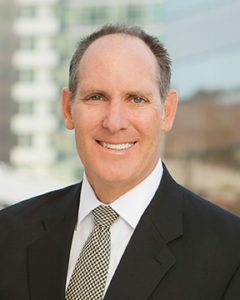 Jim currently heads the company’s Construction Department specializing in the surety and insurance needs of San Diego’s construction community. Jim is one of the first recipients of the surety industry’s Associate in Fidelity and Surety Bond (AFSB) designation. He also received his Chartered Property & Casualty Underwriting (CPCU) designation in 1996.Jim is currently involved in the national level chapters of several construction, development, insurance and surety associations. He has served as the Regional Vice President of the National Association of Surety Bond Producers and as President of the San Diego Surety Association. Jim is also involved with several community non-profit organizations.